The Six Foot Track was planned as a shortcut to Jenolan Caves. At the time, visitors to the caves travelled by train to Mt Victoria or Tarana. In 1879, Tarana became the only town on the railway from which it was possible to take a coach all the way to the caves, a monopoly which it enjoyed for ten years. The route was surveyed by William Cooper and party in 1884. Existing tracks were used where possible, including, it is said, brumby (wild horse) trails. The trail, marked by calico strips, was negotiated by various parties during the construction of the bridle track. The first recorded passage of the completed bridle track from Katoomba to Jenolan was by the governor, Lord Carrington, in September 1887. Whilst little of the original bridle track remains, the route remains open to walkers as "The Six Foot Track". More information and maps are available from information centres and bushwalking shops. By the 1930's, lack of maintenance had resulted in the track no longer being suitable for bridle use. Compiling the 1937 military map of the area, Major Clews chose to apply the name Six Foot Track, referring to the original tender specification for a width of six feet. The name is said to have been in oral use, locally, for some years before. The track was reopened in 1984, following reconstruction work. 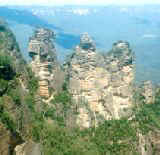 Much of the route is through World Heritage listed national park. The annual Six Foot Marathon attracts a crowd of entrants, and quickly separates the merely fit from the seriously fit! "The Trip was a Revelation to Me." Conversions: At the time of switching to decimal currency (1966), 10 shillings (10s) equalled $1.00. Therefore 25s equalled $2.50, whilst 7s6d equalled $0.75 in 1966. Source: From Katoomba to Jenolan Caves: The Six Foot Track 1884 - 1984, Jim Smith, Second Back Row Press Pty Ltd (Katoomba). 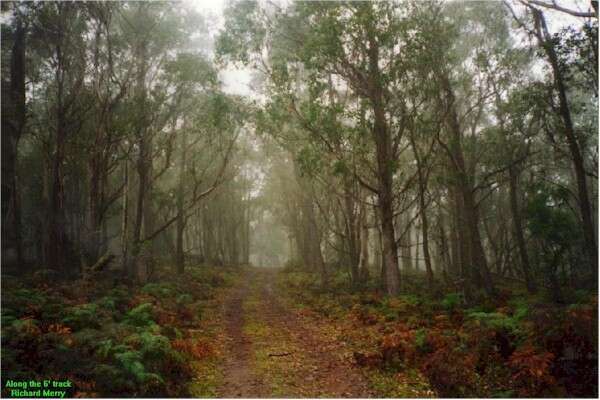 See our Shopping Plaza for bushwalking and book shops. before the final descent to the Caves. Various portions of the route are not negotiable by motor vehicle.